Happy New Year! I’m baaaaack. After a long hiatus from posting here at Paleo Spirit, I’m back with my favorite kale salad of all time and a big announcement. But before getting to all that I’d like to explain why I’ve been gone for SO long. This past year has been super busy. I was working full-time in a job that included a two-hour per day commute. That alone did not leave a lot of time for blog posting. Fortunately, I have switched to a new position that allows me to work from home much of the time which is great because I see a lot more of my boys these days and life, while still busy, is much less stressful. But the biggest reason I have not been posting is that for the past year I have been working on a cookbook! 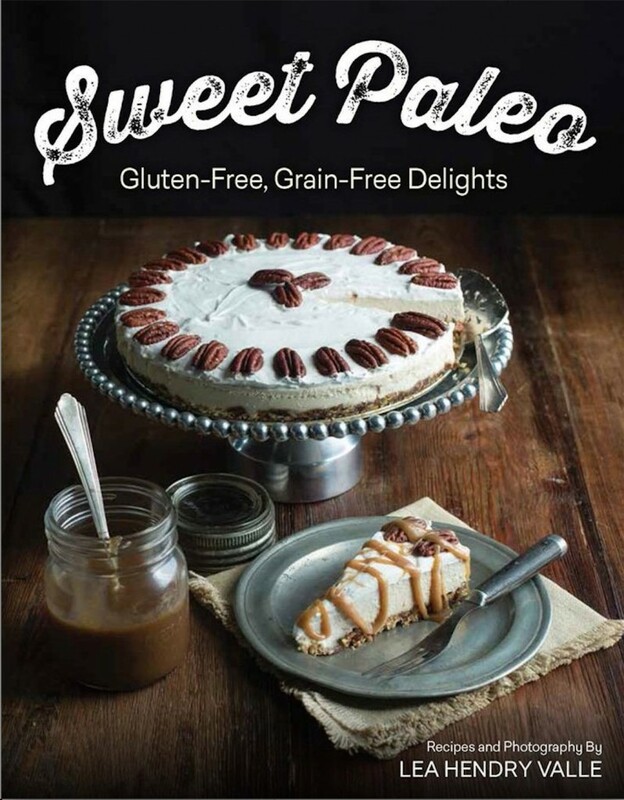 “Sweet Paleo” will be out on March 2, 2015 (less than two months!) and it’s available now for pre-order. Based on the current orders and the value packed inside, the price is likely to go up prior to final printing. But if you order now you are guaranteed to lock in the current price even if the price goes up later. 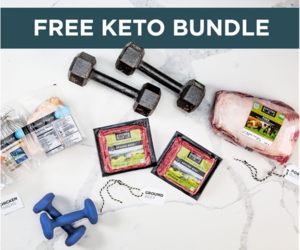 Whether you are gluten-free, living the Paleo or Primal lifestyle, or simply love gourmet-quality food, in Sweet Paleo you will discover delectable breakfast and dessert recipes made with nutrient-dense ingredients. From simple creations like Chocolate Chip Cookies and Pancakes to sophisticated offerings such as dairy-free Crème Brûlée or a perfect grain- and dairy-free Tiramisu’, the wide range of sweet delights in this book is sure to satisfy your cravings no matter the occasion or your dietary requirements. 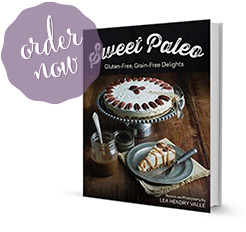 Sweet Paleo, with more than 90 recipes accompanied by gorgeous, full-page, color photography, will guide you through the use of grain-free flours, dairy-free alternatives, and unrefined sweeteners so that you will soon be making these fabulous treats in your own kitchen. I will provide more details in my next post but hopefully that gives you an idea of what I’ve been up to. This time of year many of us are not really thinking about making desserts – at least I’m not. It’s the time of year to detox a bit, maybe recommit to a healthful eating plan or start one for the first time. Right now, after all the holiday food, I want salad. 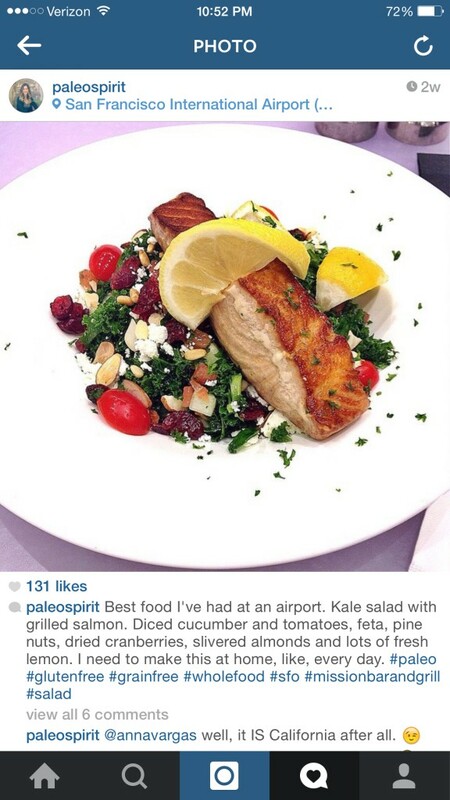 On a recent business trip to California, I had the most delicious salad ever at the San Francisco airport. Ordinarily, eating airport food doesn’t fill me with glee but it was San Francisco so maybe it’s not that surprising to find some great food. Here’s the actual post I made on Instagram! I risked the disapproving stares of fellow diners to take a pic because the salad was so delicious and I wanted to remember how it looked so I could reverse engineer it in order to make it at home. While I would love to eat kale salad everyday, not everyone feels the same way. But even kale-reluctant types will be pleasantly surprised by how tender the kale leaves become when they are marinated in lemon juice. The key is to prep the kale into bite sized pieces then toss thoroughly with a fresh lemon vinaigrette and allow the kale to marinate in the refrigerator for about an hour (optional). This softens the kale leaves and they absorb the delicious vinaigrette flavors without becoming soggy. 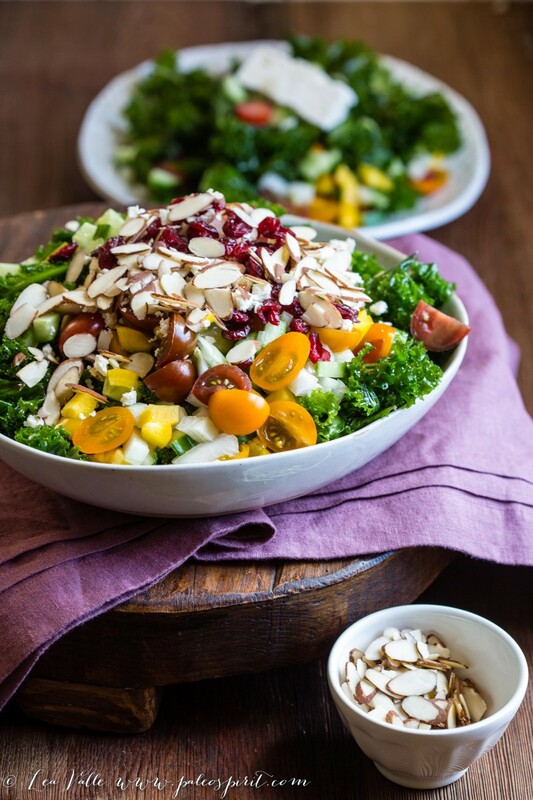 Top the marinated kale with diced cucumber, tomatoes, bell pepper and sweet onion. Add a few dried cranberries for sweetness, feta cheese (if you eat dairy) for creaminess and tang and finish with pine nuts and sliced almonds for crunch. The sourness of the lemon juice-soaked leaves, along with the freshness of the veggies and crunch of the nuts are balanced perfectly with the sweet/tart cranberries and creamy feta. I love this salad! The one at the restaurant was served with grilled salmon – which is really the way I recommend it be eaten if you are having the salad as a full meal. But the last time I made it we just added some grilled chicken and called it a meal. The other thing to love about this salad is that it keeps a couple of days in the fridge. What other leafy salads can do that?! The kale leaves hold up well over a reasonable amount of time so feel free to make a big batch and don’t worry if you can’t finish it all in one sitting. 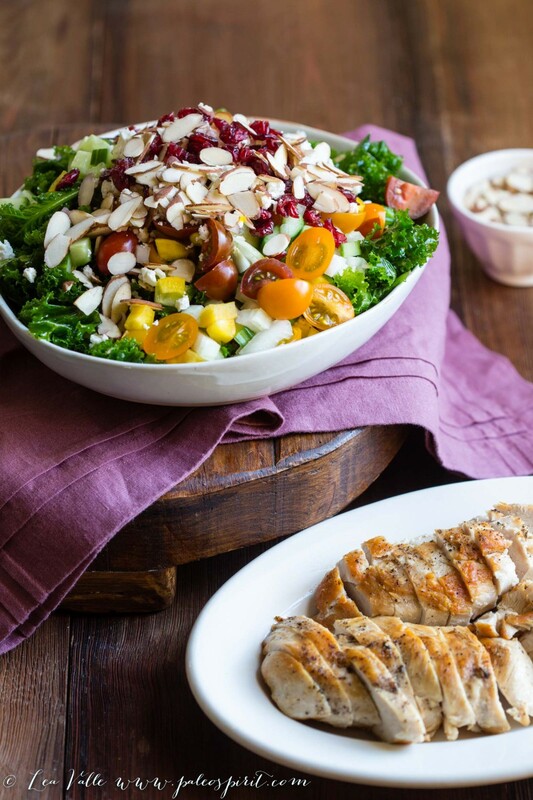 Check out these links for more paleo salads and sides. Combine the oil, lemon juice, minced shallots, sea salt and pepper and whisk until well-combined and emulsified. Set aside. Wash and dry the kale, remove the thick spines from the leaves and rip or cut the leaves into small, bite-sized pieces. Place the prepared kale into a large bowl and toss well with the lemon vinaigrette. Cover and marinate in the refrigerator for about one hour. Dice the onion and cucumber, chop the bell pepper, slice the tomatoes and place them on top of the marinated kale. 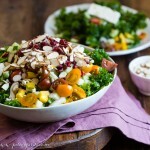 Finish the salad with a topping of pine nuts (sliced almonds) and optional feta cheese. 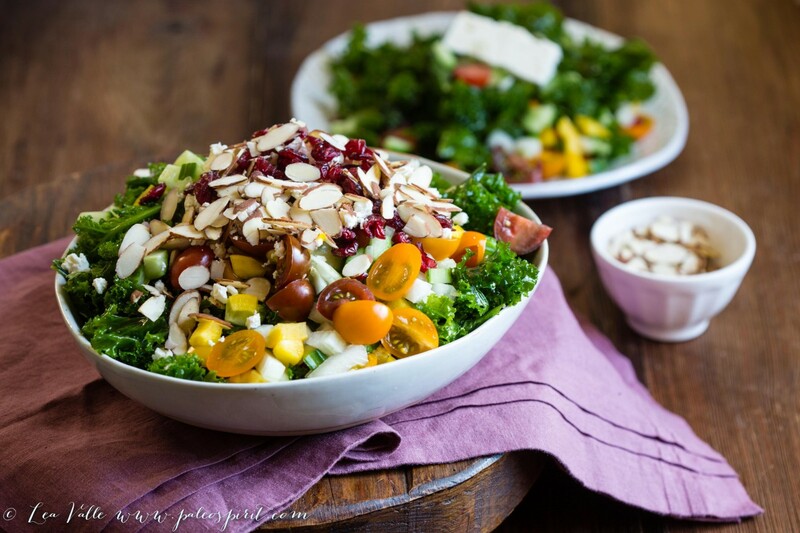 8 Responses to "Marinated Kale Salad and A BIG Announcement"
Love, love, love kale salads! This looks delicious. Thanks for the recipe. Happy New Year! Happy New Year, Deborah. I hope you like this one. So happy you are back. My college age daughter asks for your blueberry muffins every time she comes home. She ate one everyday last summer and they freeze beautifully! 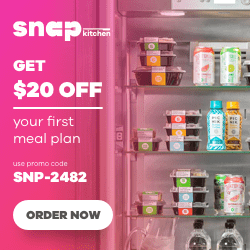 Thx so much for helping me serve delicious, healthy food to my family. I am definitely purchasing your cookbook! We love those muffins too. Thanks for all your support! Received your new book last night. Absolutely gorgeous! Can’t wait to try out some recipes this weekend. Thank you! That’s so exciting! It’s coming early for people who pre-ordered, it seems. I hope you like it. Thank you. Thanks so much for this recipe! I hate kale, but I know that spinach can’t be the only green vegetable I eat. Made this for lunch – it’s delicious! Who knew I liked kale?